In a plant, the veins of the leaf blade or lamina exhibiting the parallel pattern from the base to the tip is known as the parallel venation, on the contrary, when the veins of the leaf blade or lamina in the plants exhibit the web like or net-like pattern on both side of the midrib is known as the reticulate venation. In a leaf, the arrangement of veins is called as venation. The venation architecture is enormously distributed among the diverse species of the plants. The venation has its importance in the recognition and in differentiating the plants in their characteristics. Variation in leaf venation is much seen in angiosperms. Veins are the part of the vascular tissue, arising from the stem to the leaf. Veins are made up of xylem and phloem, enclosed in the parenchyma, sclerenchyma and bounded by the sheath cells. Xylem helps in water transportation throughout the lamina, while phloem transport nutrients, food or sugars to the whole plants. Venation also provides mechanical support, protection, coordination is the development of the plants. In this content along with the aim of focussing on the main points which differentiate the parallel and reticulate venation, we will also describe them. Meaning When veins (or the nerves) are arranged parallel to one another all over the leaf blade or lamina is called as parallel venation. 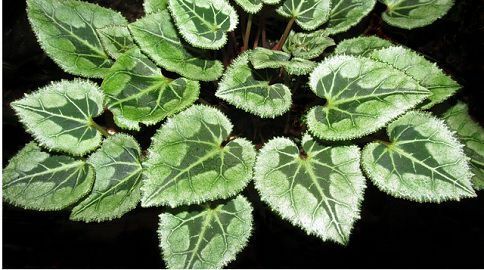 When veins (or the nerves) shows network or web-like arrangement all over the leaf blade or lamina, it is called as reticulate venation. Orientation of veins Parallel to one another. Produce a network or web like structure. Occurs in Monocot plants. Dicot plants. 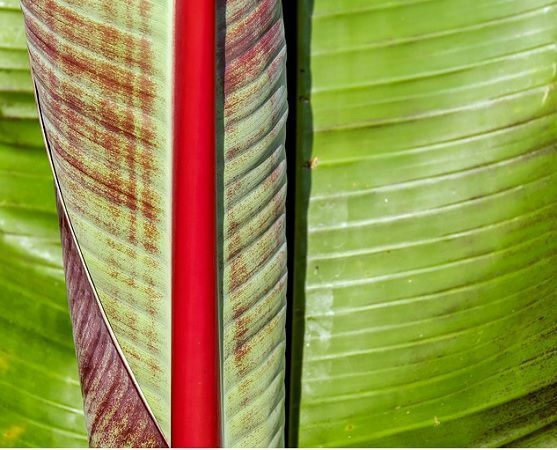 Examples Banana, bamboo, wheat, grasses and maize are few examples of the parallel venation. Mango, hibiscus, ficus are few examples of the reticulate venation. Pinnate parallel venation – In this, the veins arise from the prominent midvein (midrib) present in the center of the leaf lamina from base to the apex. These veins grow perpendicular to the midvein towards the margin and are parallel to one another. This venation is also known as Unicostate parallel venation. An example is Banana. Palmate parallel venation – In this, there are many prominent veins are present, which are parallel to one another. This venation is also called Multicostate parallel venation. It is also of two types, Convergent and Divergent. When all the midveins arise from the basal part, and runs parallel to one another and merge at the apex of the leaf is called as convergent parallel venation, an example is a grass. In case of the divergent parallel venation, the leaf lamina is lobed, and the veins enter into the separate lobes from the base only, an example is Borassus (Palmyra). Pinnate reticulate venation – When only one midvein is present, while all other veins form the network like structure is known as Pinnate reticulate venation. This venation is also called as Unicostate reticulate venation. An example is Mangifera. Palmate reticulate venation – In this type, many midribs are present, while other veins are in the form of network. It is called as Unicostate reticulate venation. This venation is also of two types, Convergent and Divergent. It occurs in the unlobed leaf lamina where from one midrib, there arise the other veins and thus forming the network and finally meet at the apex, is called as the convergent reticulate venation. On the other hand, when the leaf lamina is lobbed, and the midveins enter separately to the different lobes, and other smaller veins forms the network, it is called as the divergent reticulate venation. 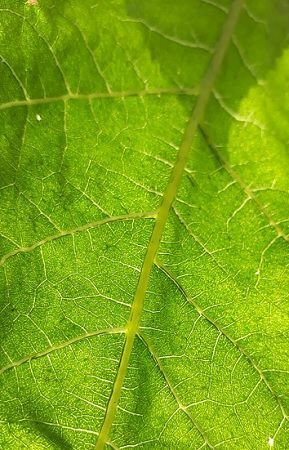 Parallel venation can be described as the veins showing the parallel arrangement to one another, all over the leaf blade or lamina, while the veins in reticulate venation show network or web-like arrangement all over the leaf blade or lamina. The orientation of veins is parallel to one another in parallel venation, but in reticulate venation, the veins produce a network or web-like structure. Parallel venation is seen monocot plants like banana, bamboo, wheat, maize, etc. Reticulate venation is seen in dicot plants like mango, hibiscus, ficus, etc. Both types contain xylem and phloem, which helps in transportation of water and food in the plants. And these venation provides mechanical support to the plants. Leaf veins are either parallel or reticulate (net-like). Venation along with providing the water and energy to the plants and leaves; it also provides mechanical as well as biochemical support. Thus the variations in the leaf venation have the wide range of applications. Further research on this will help us to know much better about them.